On a recent summer family vacation that included three generations of my family, my siblings and I each were tasked with coming up with a different meal to feed all 17 of us, ranging in age from 12 to 71. In planning my meal, I took into consideration that we’d be staying in a rental home with an unfamiliar kitchen, which meant I wanted to keep things super simple. I also was leaving a garden back home that was brimming with all sorts of fresh vegetables that I wanted to incorporate into the meal in some way. The taco bar was a huge hit. 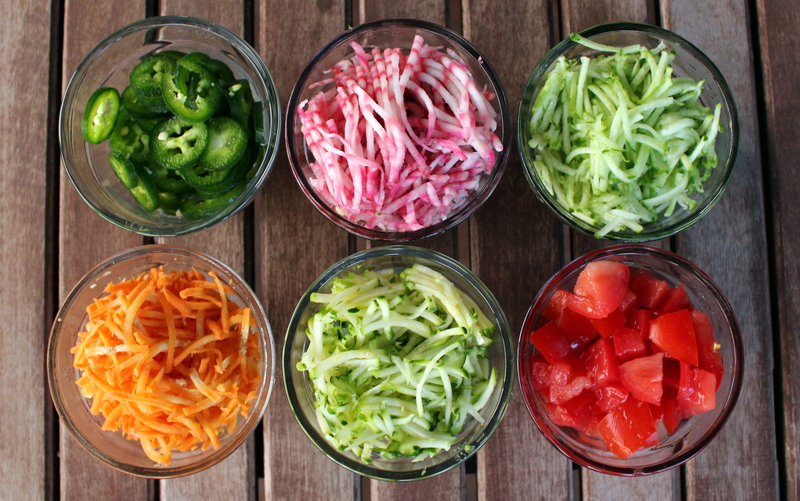 The colorful veggies enticed even the pickiest of eaters to load up their tacos with healthy toppings. My brother finally met a beet (shredded raw) that he would eat, proclaiming that he had no idea beets could taste so good. And at least one kid eschewed the steak dinner prepared one of my siblings the following night in favor of leftover tacos and veggie toppings. I’d say that was a successful meal! 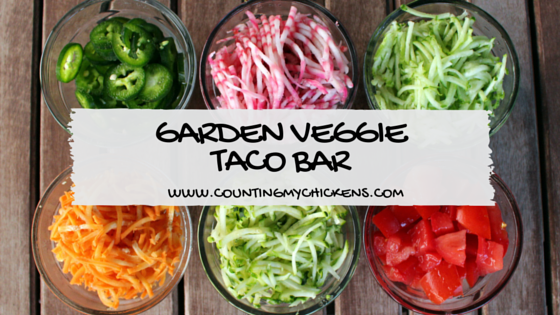 If you’d like to create your own garden veggie taco bar, my filling and taco seasoning recipes and suggested toppings are below. Brown the ground meat, onion and garlic a large, heavy skillet over medium heat until cooked through. Drain excess grease. Return skillet to heat and stir in taco seasoning. Add kale and cook until wilted, about 5 minutes. 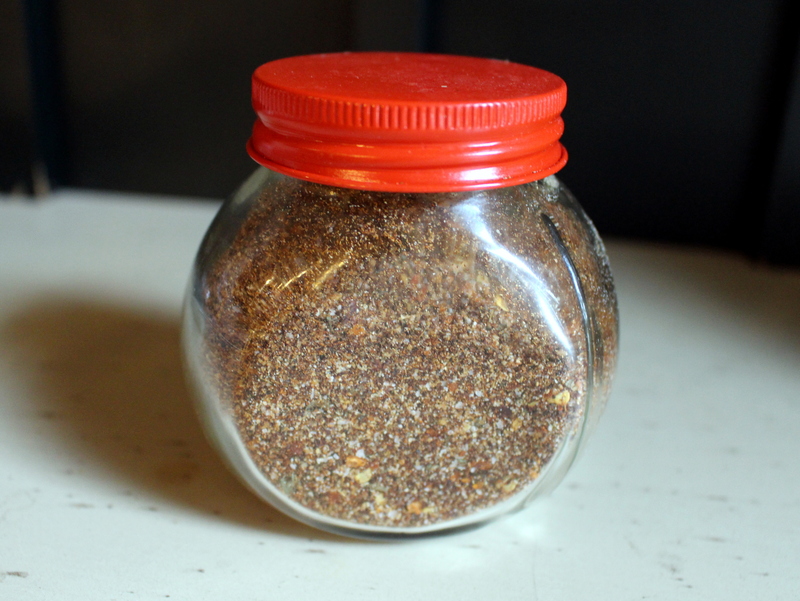 Store the leftovers in an airtight container. What are your favorite taco fillings and toppings? 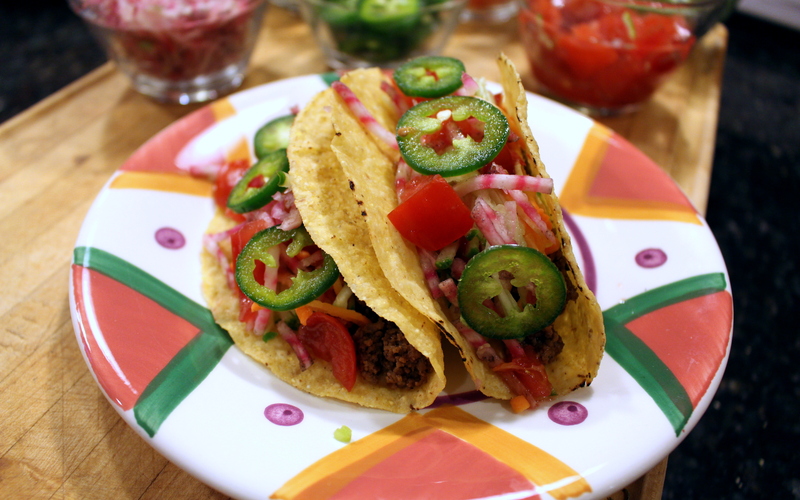 This entry was posted in Cooking with Garden Produce and tagged home cooking, recipe, taco bar, tacos by Deborah Neyens. Bookmark the permalink.